It's easy to add e-commerce to your email newsletters. Cart66 let's you create an anchor link that will automatically add a product to your customer's shopping cart then direct the user to any URL you specify. Navigate to your products page and next to each edit icon there is a chain icon you can use to copy the direct link to a Buy Now Link. PLEASE NOTE: The Buy Now Link from the Cloud dashboard will ONLY redirect to the Checkout Page. The method below will redirect to the Cart but if your theme has any kind of warning or error (as seen in debug mode) you may experience a blank screen in some browsers. It's advised to use the links from the Cloud Dashboard. 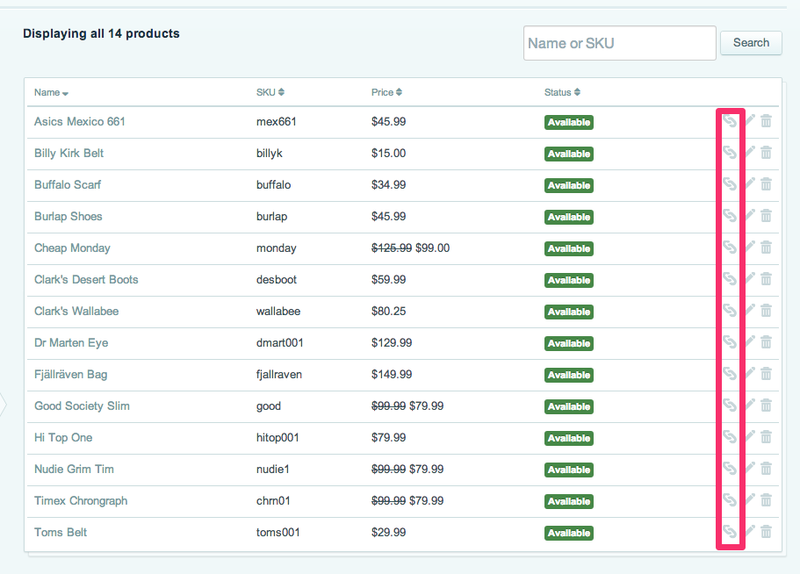 There are additional parameters you can add to the buy now links that will redirect the users to the cart or set a predefined quantity to the cart. https://yourdomain.cart66.com/buy/shirt+mug+jack?quantity=3 will add 3 of each of those products to the cart. https://yourdomain.cart66.com/buy/shirt+mug+jack?redirect=cart will redirect the user to the cart page instead of the checkout page. Use a URL shortener and share a "Buy Now" link on Facebook. Place banner ads or text links on other sites that use "Add To Cart" or "Buy Now" links. Get started selling today with Cart66! Safer, Faster, Easier!